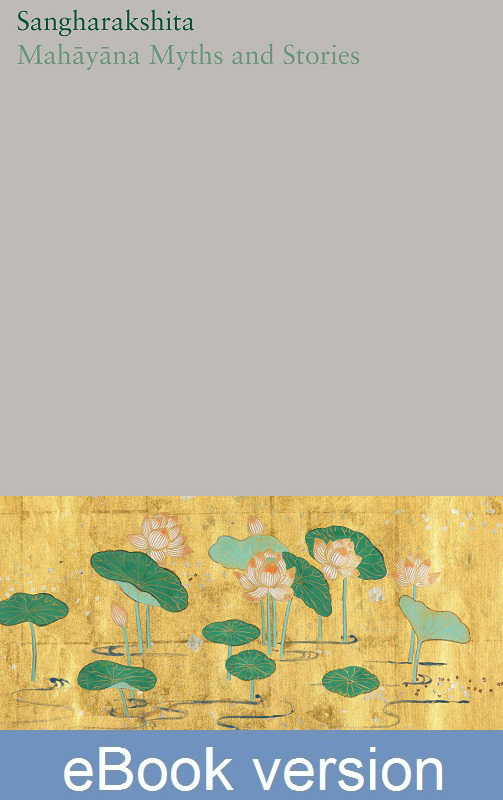 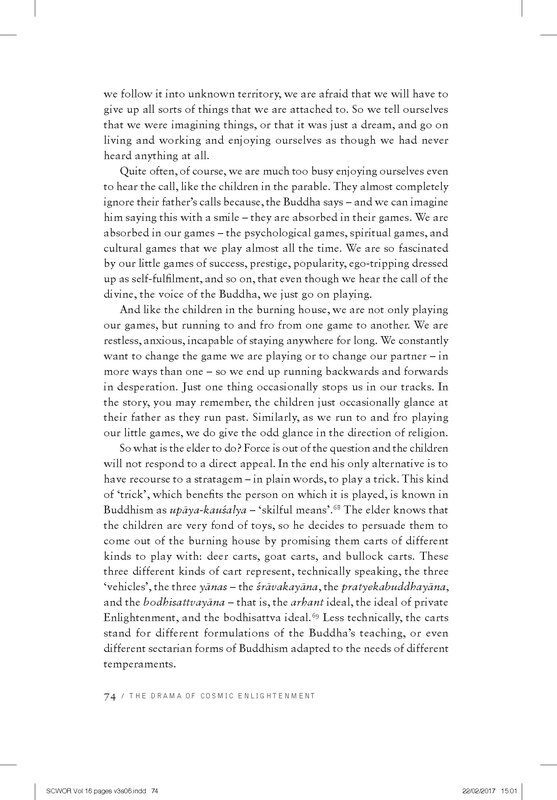 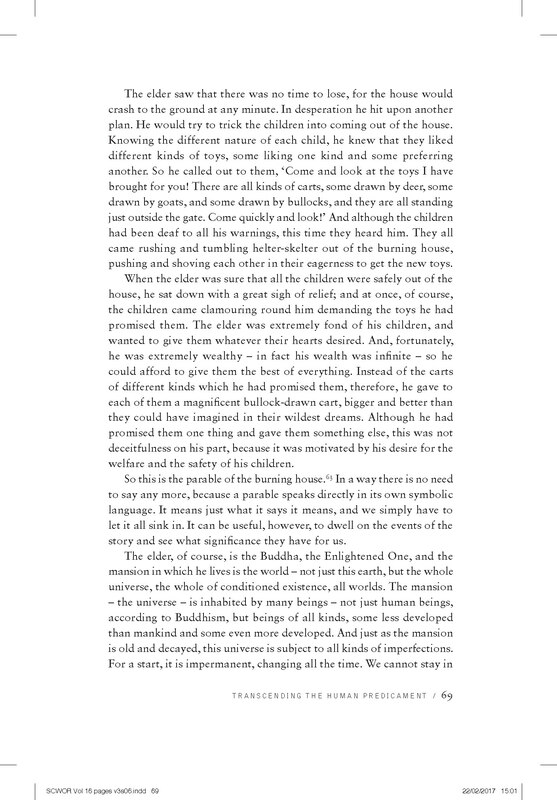 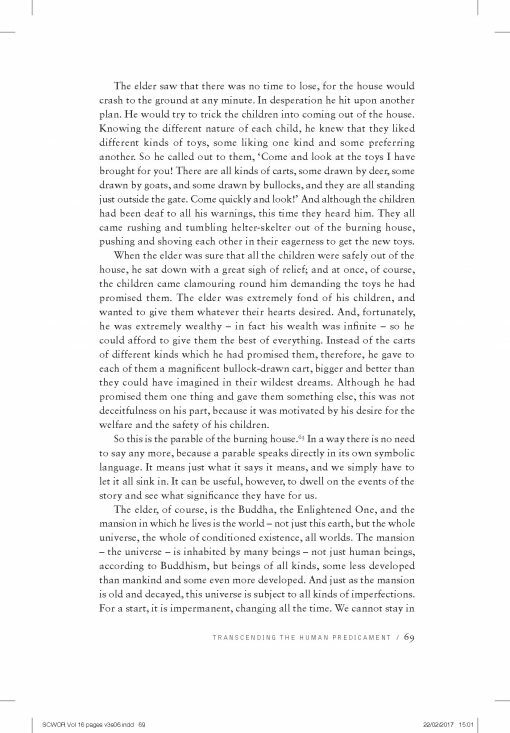 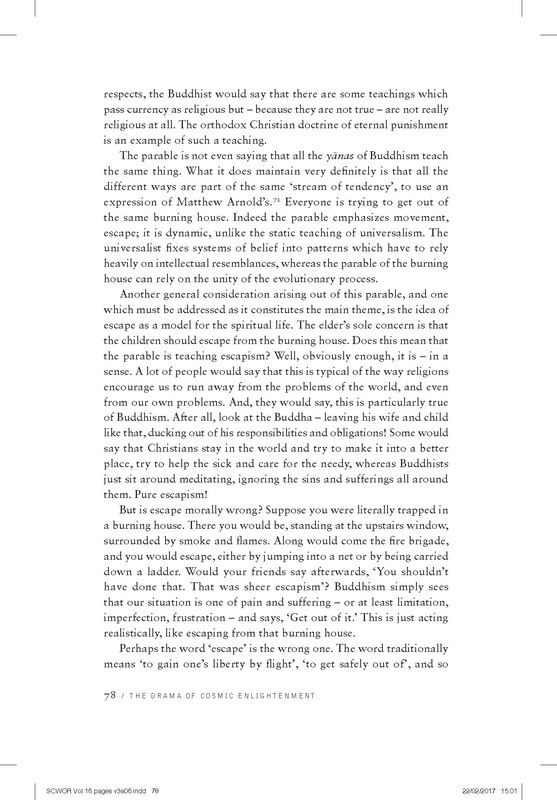 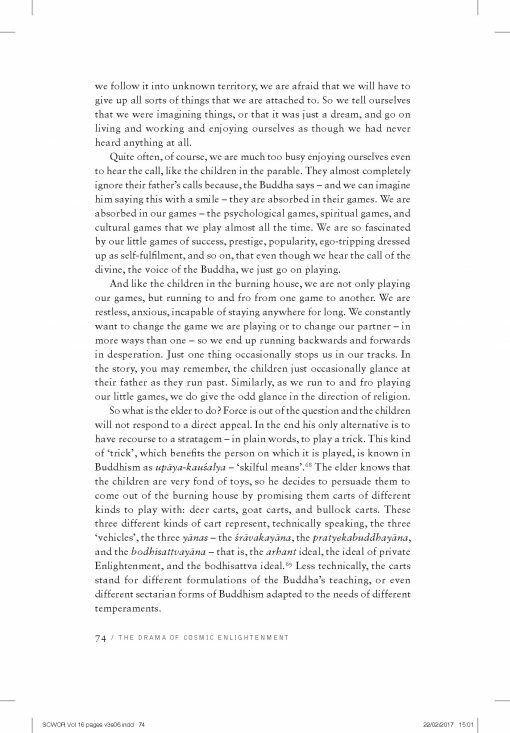 This volume brings together The Drama of Cosmic Enlightenment: Parables, Myths and Symbols of the White Lotus Sutra; The Priceless Jewel (essay); Transforming Self and World: Themes from the Sutra of Golden Light; The Inconceivable Emancipation: Themes from the Vimalakīrti-Nirdeśa and new endnotes reflecting original sources. 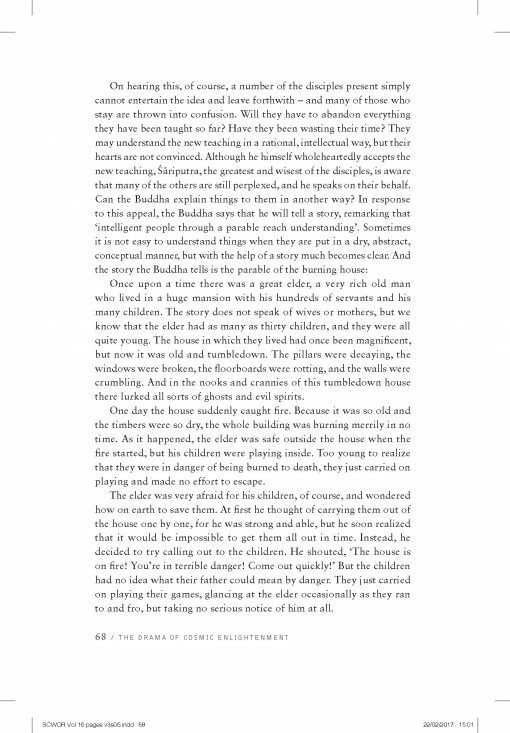 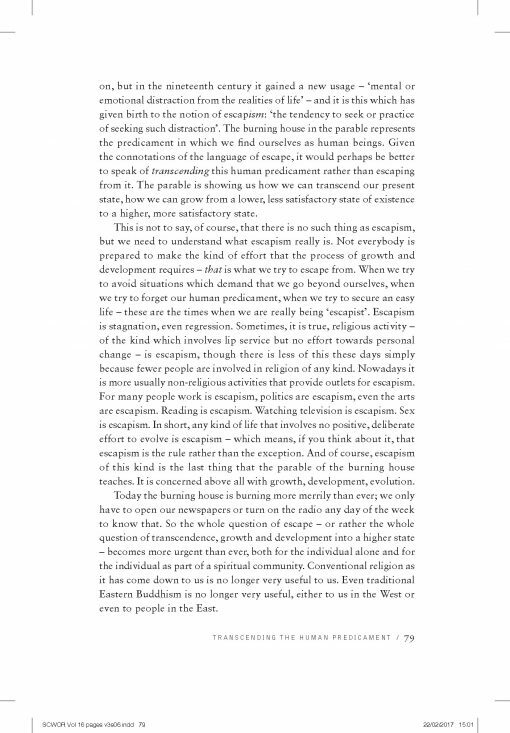 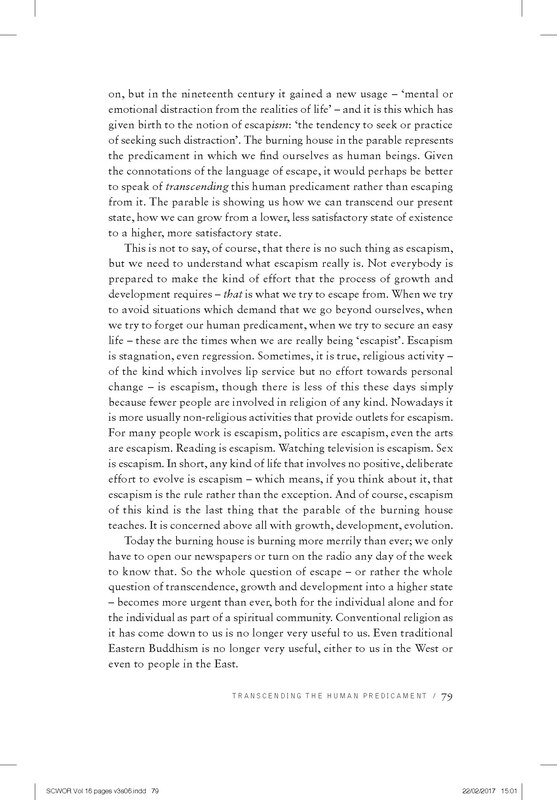 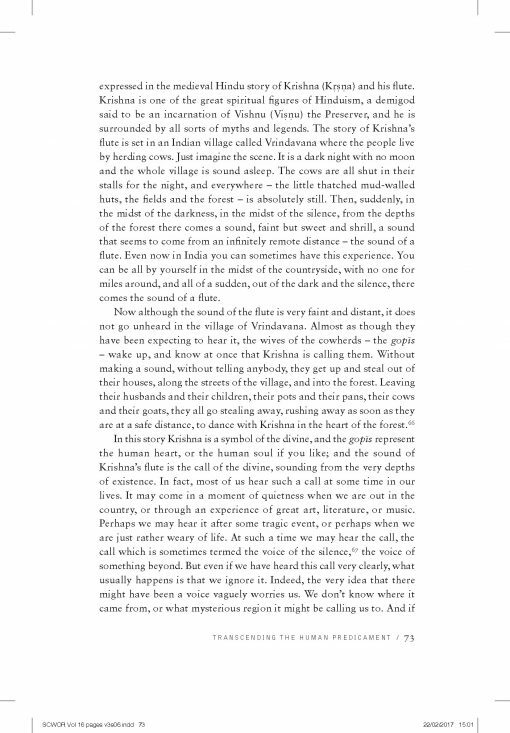 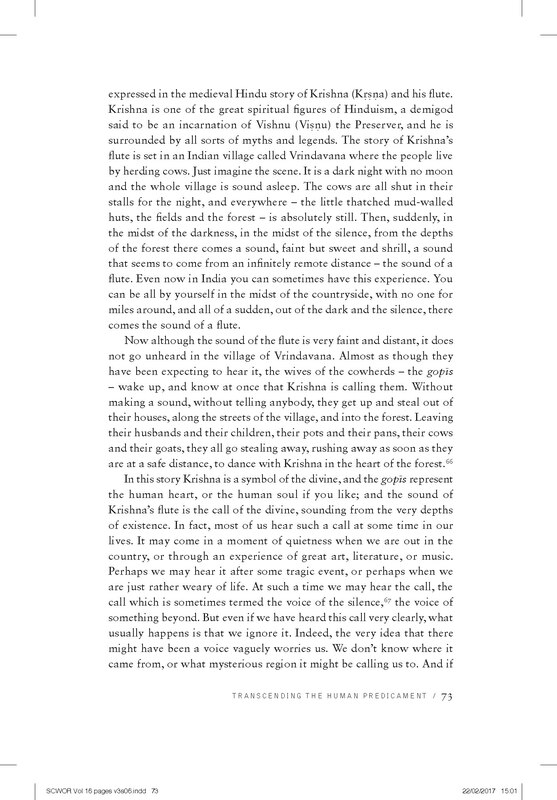 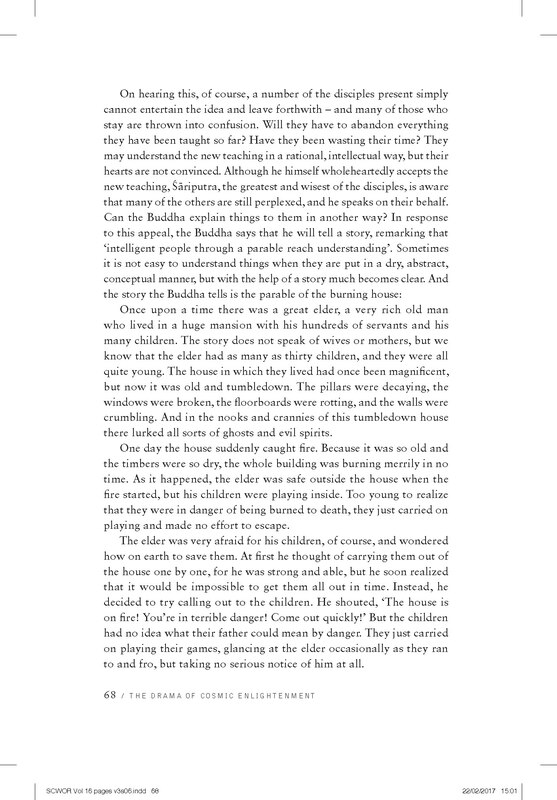 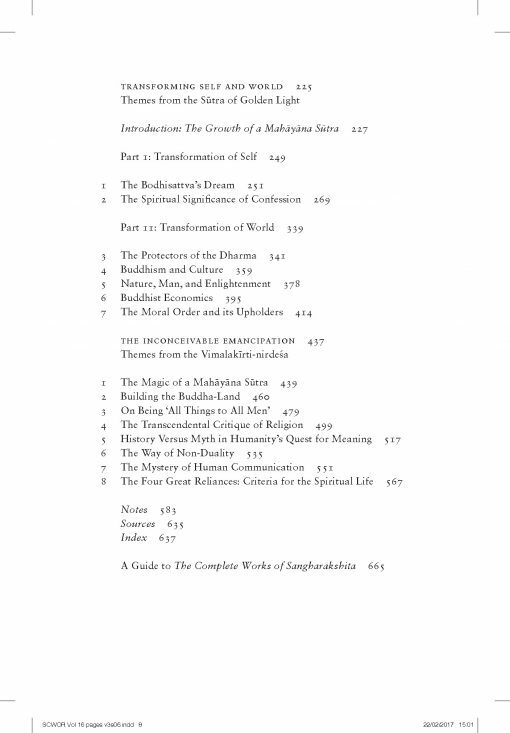 A beautiful foreword by Ratnaguna introduces the volume. 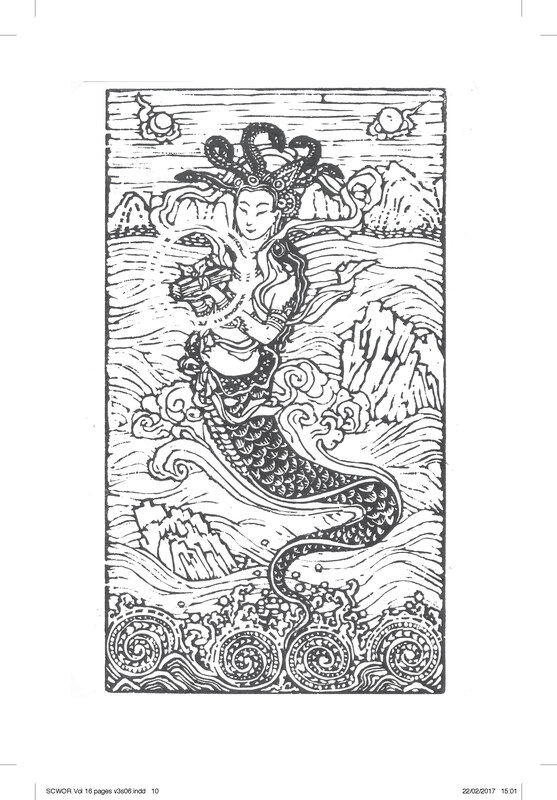 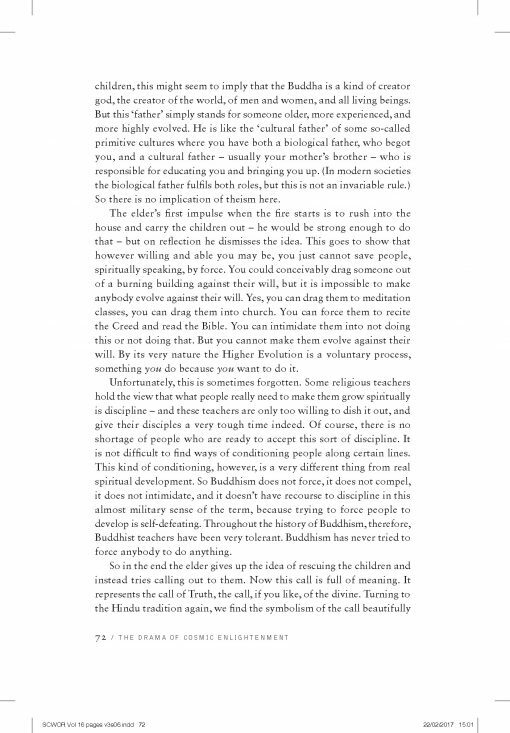 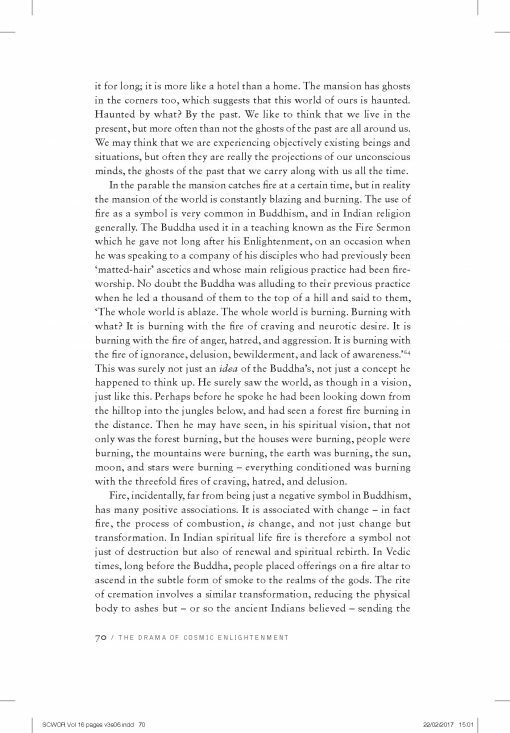 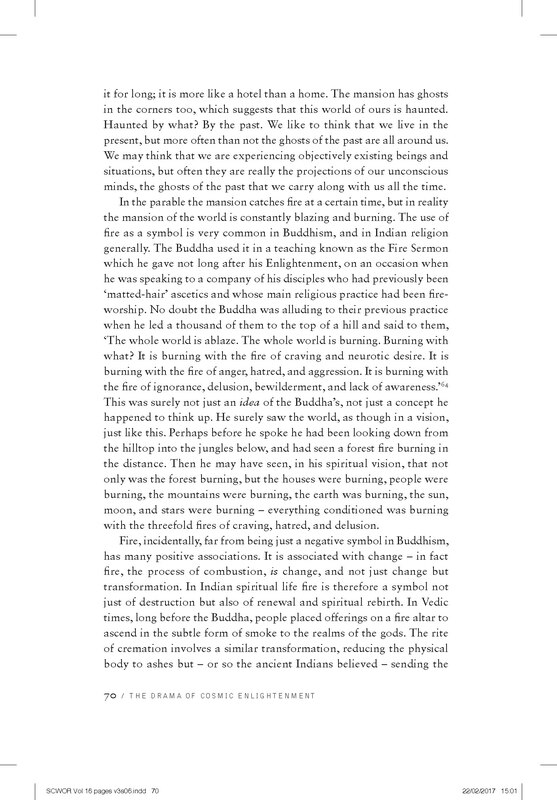 Aware that whatever our age, we never lose our responsiveness to story, myth and drama, the Buddha often told stories and parables, and in the Mahāyāna phase of the development of Buddhism, the stories became ever more mythical and magical. 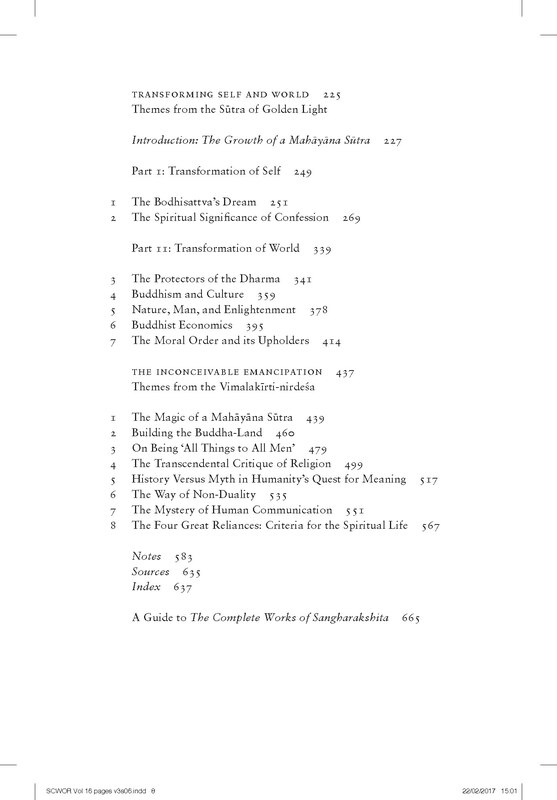 In this volume, Sangharakshita introduces us to the strange and wonderful worlds of three of the best-loved Mahāyāna sūtras, worlds from which – if we pay close attention – we can return with treasures in the form of teachings and advice. 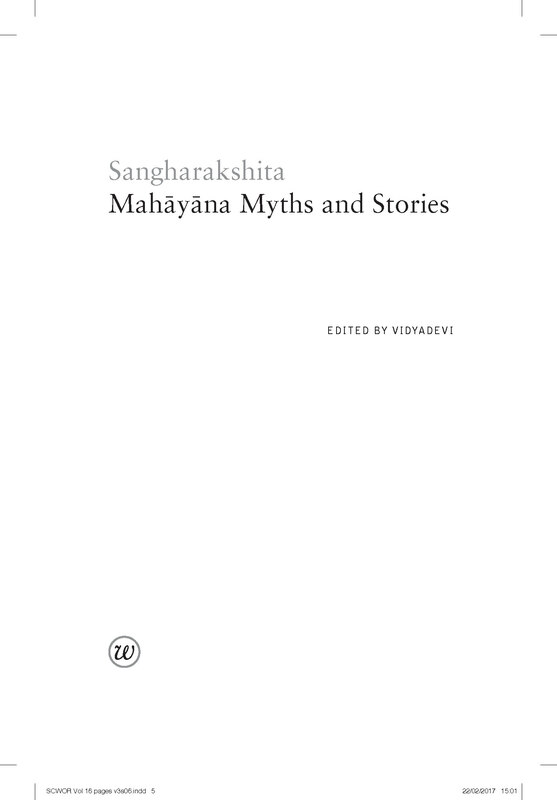 Thanks to Sangharakshita’s imaginative and creative approach to these sūtras, their gems, mythical or even magical though their origins may be, turn out to be exchangeable for hard currency – the practical business of how we are to live our lives in the everyday world. 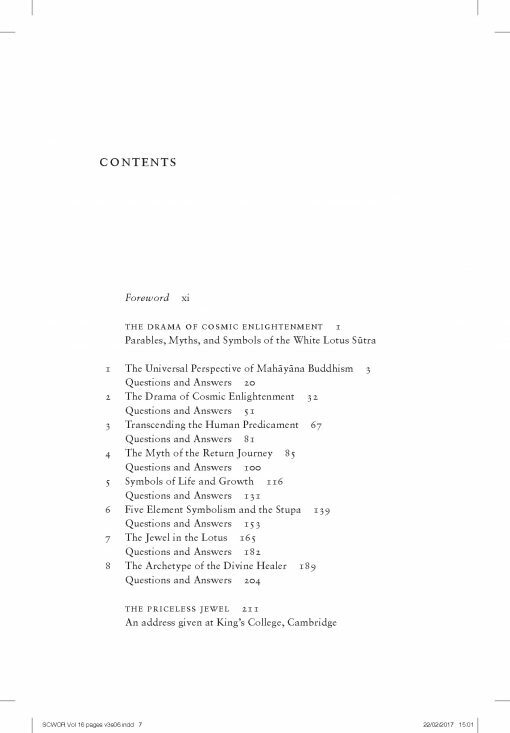 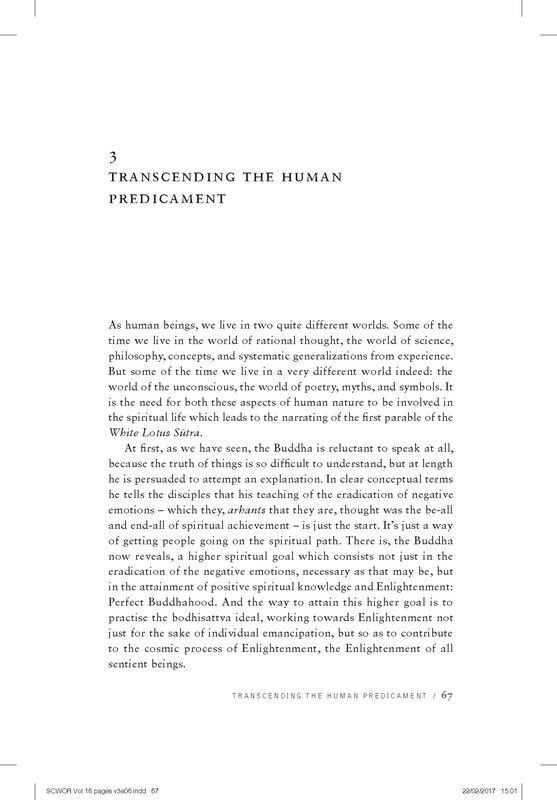 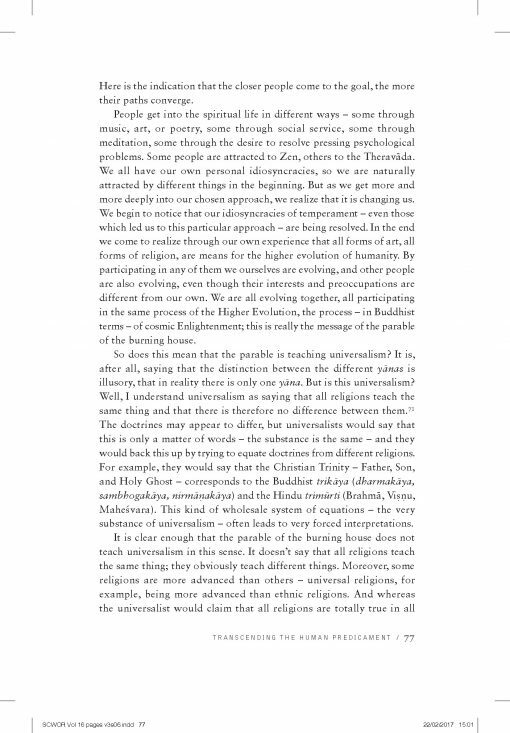 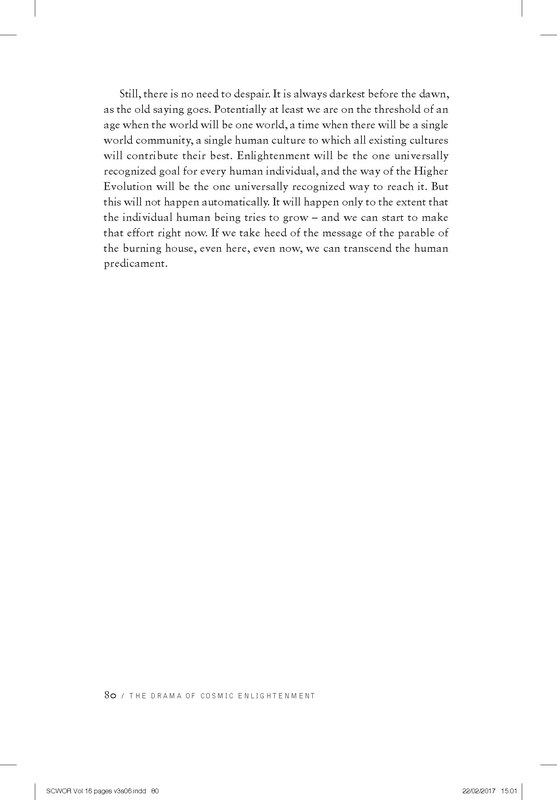 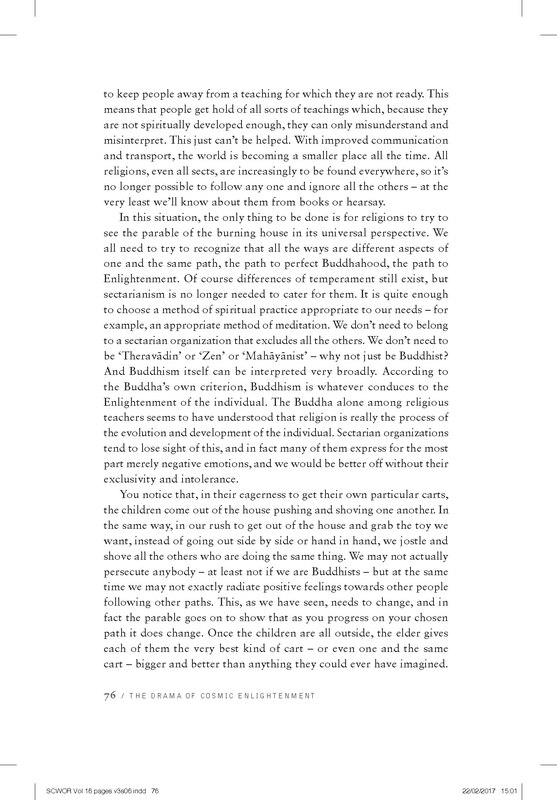 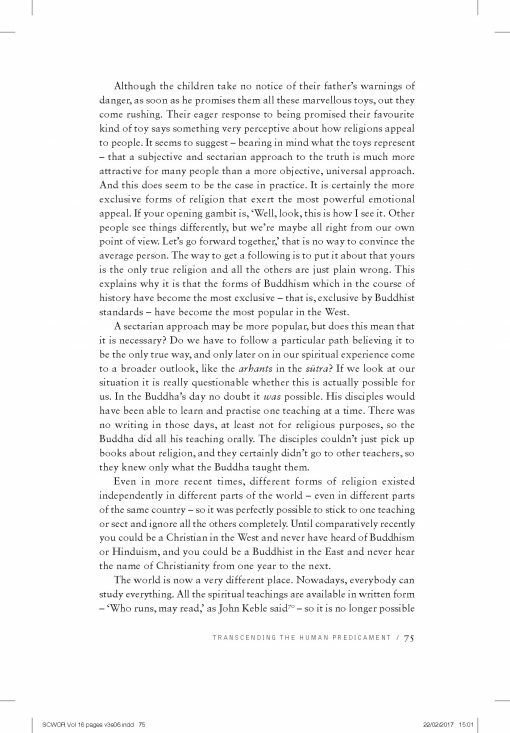 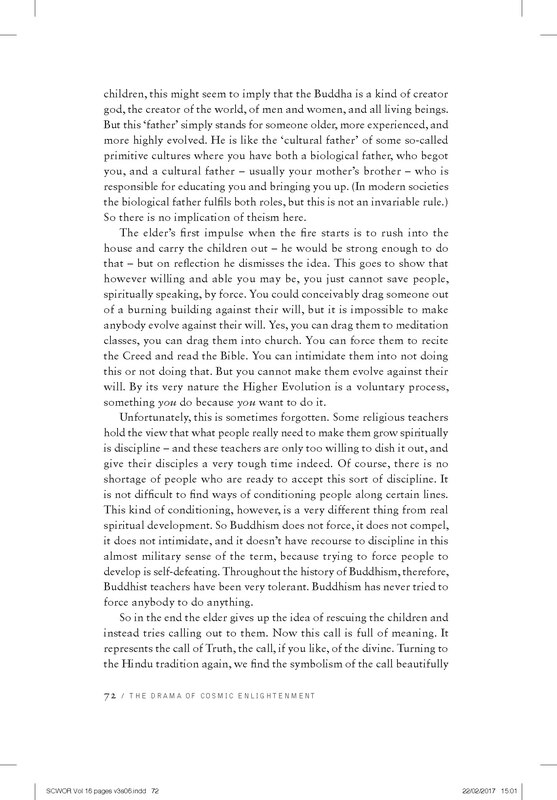 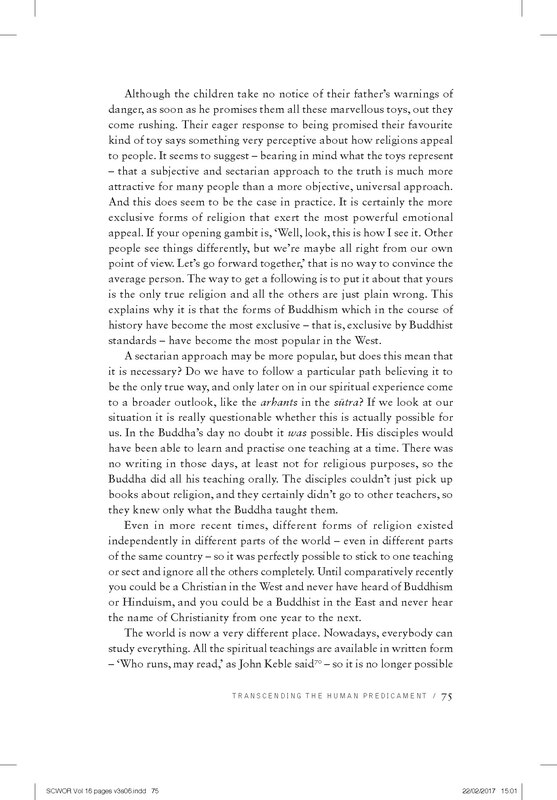 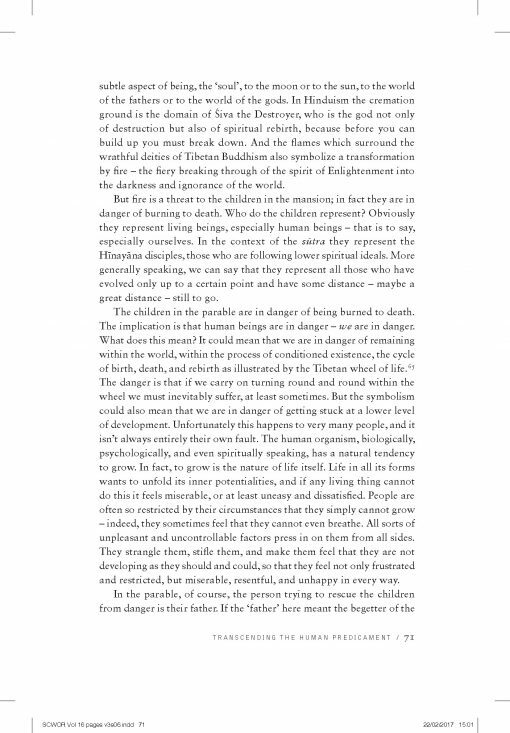 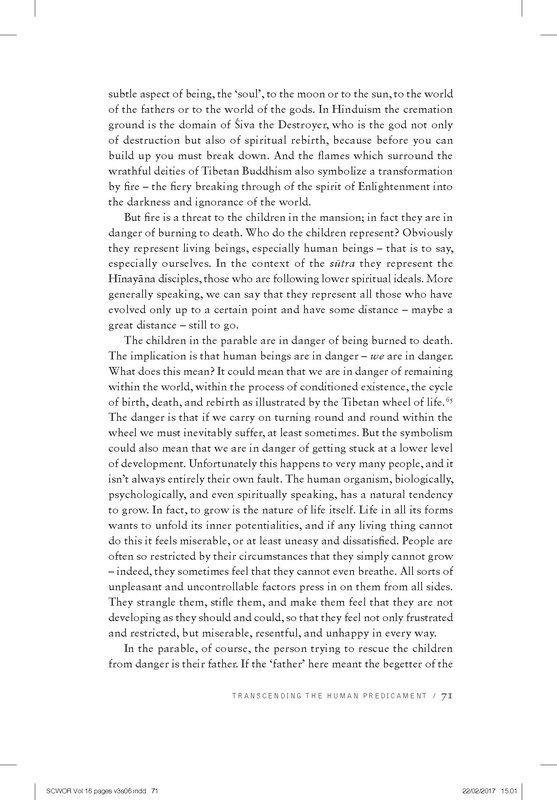 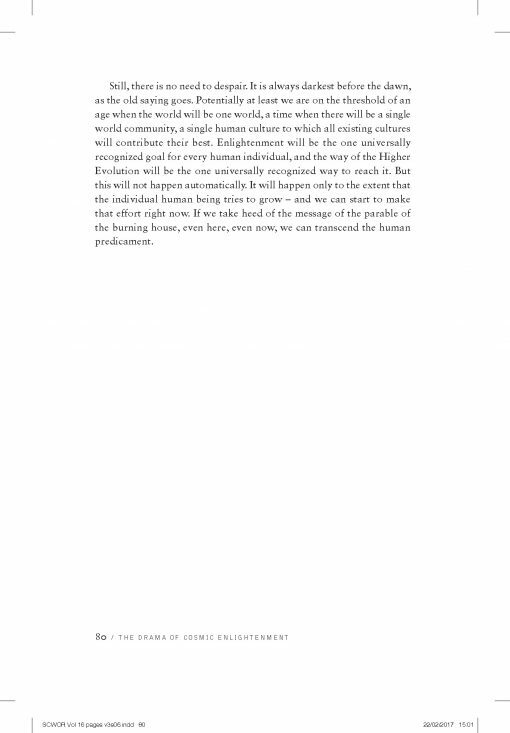 From the transcendental critique of religion and the means of unification offered by the Vimalakīrti-nirdeśa to the light shed on economics, ecology and politics by the Sūtra of Golden Light, and the vision of life as a journey offered by the White Lotus Sūtra, these commentaries offer a unique and transformative perspective on the value of human existence. Find out more about The Complete Works of Sangharakshita.